As a first time home buyer in Alberta there's a lot of information you should keep in mind. Luckily, we have everything you need to know right here! After much consideration, you've decided to become a first time home buyer in Alberta. You chose the right time - after a long slump, the Alberta housing market is poised for recovery. How do you succeed as a first-time buyer in the area? Keep reading for a step by step guide to landing the house of your dreams in Alberta. Buying a home requires more than putting in an offer (though that part is pretty crucial too). It's a process that takes a lot of consideration, time, and attention to detail. Knowing this process breaks down your home buying journey into digestible steps. Let's start with the basics - as a first time home buyer in Alberta, what do you do when you first consider buying a home? Really, it comes down to what questions you have to ask and who you need on your team. For the first time home buyer in Alberta, your home is the biggest investment of your life. You should have a lot of questions, and you should demand a lot of answers. The most basic seems obvious, but that's why it's so necessary. It isn't what kind of house to buy, or where, or what neighborhood you want to live in. The question is this: is homeownership right for you? Seems like a pretty simple question, right? But you may have overlooked it. You shouldn't - knowing the answer to this question before becoming a first time home buyer in Alberta will save you a lot of trouble in the long run. Do I have the financial discipline to manage a large purchase? Am I prepared for the costs and responsibilities of homeownership? Can I spend time on home maintenance? Am I a newcomer to Canada? If the answer to the last question is yes, you may want to consult several other specialized resources. If the answer to the other four questions is yes, then keep going. So this is the part where you go online to look right? This is the part where you build your squad. Your Taylor Swift-style homebuying squad. This includes, in no particular order: a mortgage broker, a real estate agent, a property lawyer, and a shoulder to cry on. Yes, you will need that shoulder to cry on. It's a long and trying process, home buying. You can also use this brochure to help you get started asking the right people the right questions. Just kidding. Time to talk taxes. Don't worry though - a first time home buyer in Alberta actually gets a tax advantage. The home buyers' tax credit (HBTC). The HBTC is a nonrefundable tax credit for first time home buyers with a qualifying home. It's easy enough to calculate, too. All you have to do is multiply the lowest personal income tax rate for the year by $5000. If the total of your non-refundable credit is less than your federal income tax, you get the refund. Pretty nice, isn't it? Here's how you qualify. These two conditions must be met: you or your spouse or common-law partner acquired a qualifying home, and you did not live in another home acquired by either you or your spouse or common-law partner in any of the four years preceding the acquisition. Basically: have a qualifying home, and be a first-time buyer. Now, the part that's somehow less fun than taxes: financing your home. You already questioned whether you're financially stable enough to consider becoming a first time home buyer in Alberta. Now, you need to consider how you're going to pay for your home - unless you've got a lot of money in savings, it's probably not going to be out of pocket. This isn't a decision to take lightly, especially as a first time home buyer in Alberta. You don't just need to find a mortgage - you also need to make sure you find the right mortgage and don't fall victim to mortgage fraud. And when you're getting a mortgage, remember it's always better to pay it off faster if you can. Throw a bit of extra money here and there every month if your budget allows. The extra effort gives you a certain financial cushion in case of unforeseen events. And before you jump off the deep end with a mortgage, do some calculations. They'll do a lot to help you later on. It's always better to know what you can afford instead of guesstimating. Using a calculator will also help you assess your financial situation and determine the maximum you can pay for a house. Need a calculator? Try this one to get started. So, you're finally ready to head to the market. Congratulations! You're not done yet though. Here are a few things to keep in mind while you're shopping around. It seems obvious, doesn't it? But remember: you don't just want to consider what you want or need right now. You need to consider what you'll want and need in five, ten, or fifteen years. For example, you need to consider the neighborhood. What is it like? How big is it? Where is it located relative to your job (or the area you're likely to work over the next several years)? Also, consider the size and type of the home and property. Is it a condo? A split level? A row house? If you're considering a family, will this property and house be enough space for all of you? 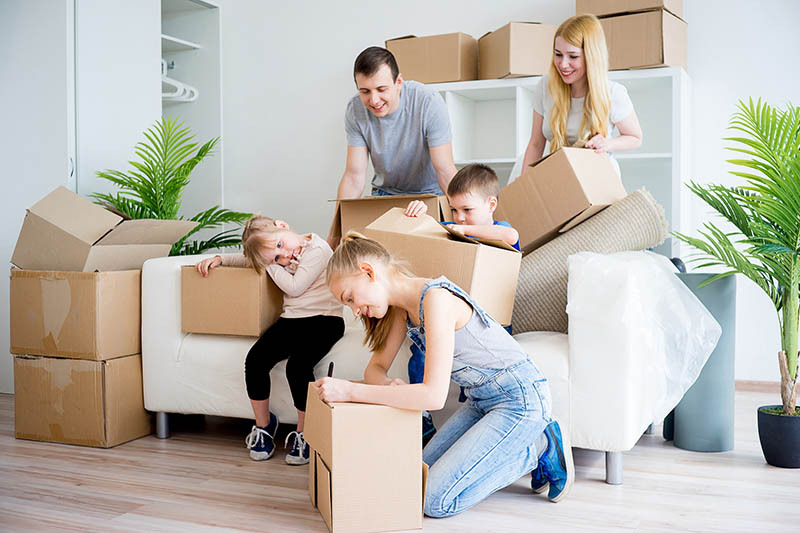 On the topic of families, you'll also need to consider whether this home is adaptable to any lifestyle changes you can foresee in the future. Surprise: in Canada, you can choose between a few different types of ownership, a choice that may have a real impact on your decisions as a first time home buyer in Alberta. A freehold is the most straightforward of the bunch. You own the house and the land it sits on. In a leasehold, as the name implies, you own the building, but you rent the land said building sits on. A condominium is similar to an apartment, but you own a unit which shares common elements with others in the building or complex. Finally, there's a co-operative, in which you buy a share in the building and live in one of the building units. The type of ownership that most suits you depends on your goals and interests. If you're likely to move in the near future, then a freehold may not be best for you. You made it! You're ready to make an offer. Then, buckle in and get ready to negotiate. This is where your home buying squad can help save the day. Negotiating to buy a house is stressful, and you need some people in your corner who know their way around a real estate deal. You should also be prepared for the results of the inspection that will determine whether you should go through with the deal. It's an emotional rollercoaster. Make use of your shoulder to cry on. And if you go through with it? Make sure you've got everything on your moving checklist. One of those members of your home buying squad should be an experienced real estate attorney. You'll want to make sure no nasty surprises await you in the fine print. Verhaeghe Law Office offers a variety of services from experienced attorneys to make sure you get the deal you sign on for. And if you need a bit more free legal advice, check out our blog for posts like 8 key benefits to homeowners title insurance in Alberta. Need to get in touch for a consultation? Log on to our contact page to get started. This entry was posted in First time home buyer in Alberta by verhaeghelaw. Bookmark the permalink.